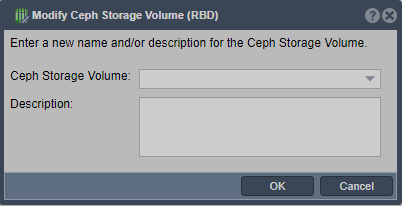 Changes the name and/or description of the Ceph block device. Internally the Ceph RBDs and associated Storage Volumes are all identified by UUID but the name change does effect the IQN by which the block device is presented. This page was last modified on 20 July 2018, at 16:44.